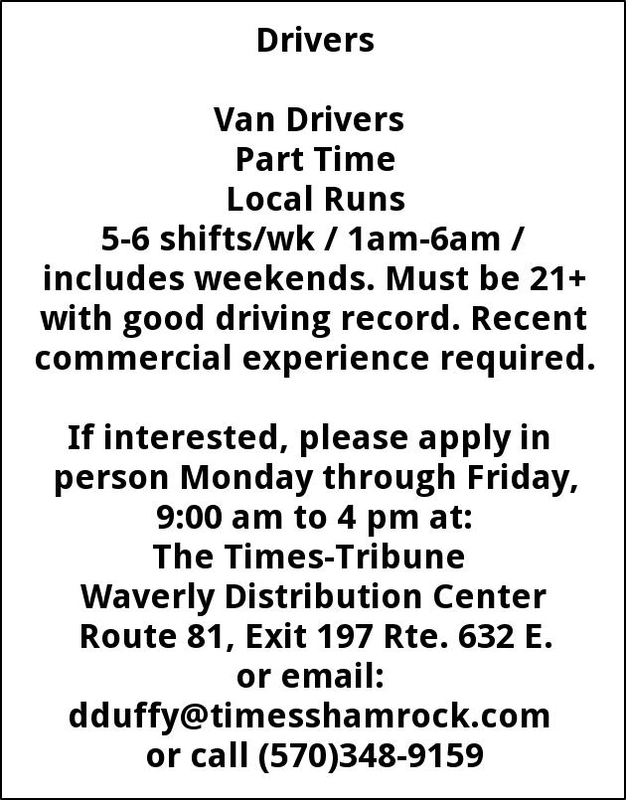 3-4 shifts/wk / 1am-6am / includes weekends. Must be 21+ with good driving record. Recent commercial experience required. 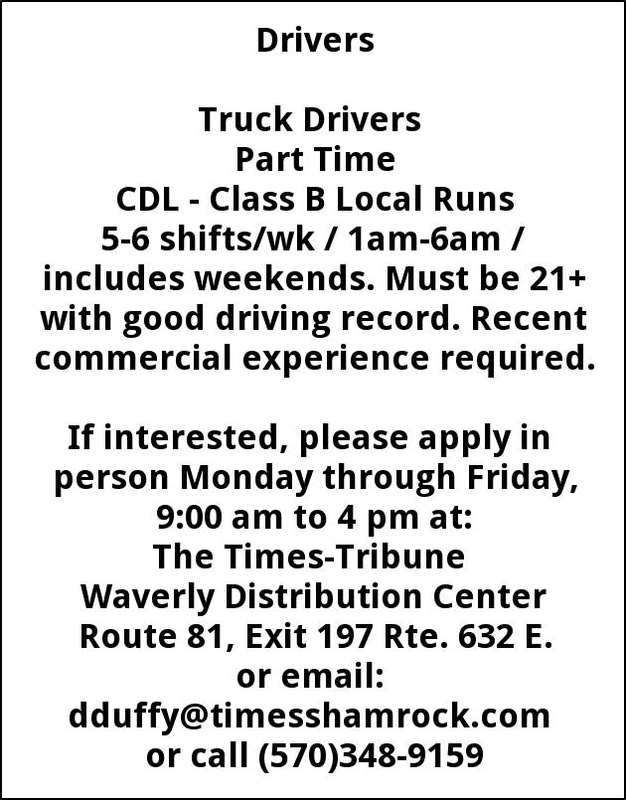 Waverly Distribution Center route 81, Exit 197 Rte. 632 E.